After coming back to the 【Atelier】, Emily-san and I tardily sat down on the chair and fell on the counter. The wind during the escape using the rope was comfortable, but as we gradually approached the opposite cliff and were on the verge of colliding with it, we felt fear. However, thanks to the fantasy world, we decelerated ignoring the laws of physics and stopped right before colliding with the cliff. Although both Emily-san and I were able to get off safely, both of us had a very difficult expression. "Really, what was that in the first place, I wonder." We were mostly silent until we returned to the 【Atelier】, but after arriving, I asked. "Isn't it one of those short-cuts you see often? Something like a warp device connecting with outside of the dungeon." The dungeon was complex, so a trip both back and forth would take quite a long time. So they made a short-cut for the sake of returning with ease. "Well, it's a gimmick that uses a different concept from a portal." "If that's the case, then I'd prefer some equipment that strains my heart less." "I guess, it might just be one of the attractions." Stating that the thrill was the equipment's purpose, Emily-san made a slightly fatigued expression. At least there's enough ingenuity to never get bored. While thinking so again, I looked towards the two fairies flying around inside the store. "Ahahaha!! Human habitats are interesting! There's lots of strange things!" "Plants. I love raising plants. Leave water management to me." The Mischievous Fairy that had come after me was flying freely around the store and touched various things. The Water Fairy that had come after Emily-san was interested in the seedling of the Wisteria Peach Tree whose replanting was complete. "Well, there's no problem leaving them be." "You're right. Well then, let's confirm the materials and prepare the 【Synthesis】." Saying so, starting with the 【Arachne's Silk Bag】, Emily-san and I have started confirming the drops and the ore mined in the dungeon. Other than that, I took out Magical Silk Scraps and Magical Bamboo as well as ingots and ores from the 【Atelier】's stock. "Ohhh?! What are you doing?! What are you two doing?! Can I do it too?!" "We're synthesizing materials. Since you can't do it, eat this instead." As the Mischievous Fairy was being noisy as it was flying around, I took out a single parcel out of the inventory and held it out towards her. The content of the wrapping were the cookies I made the other day. The Mischievous Fairy, unable to support the weight had gradually dropped down. Seeing it, the Water Fairy helped her to support it and they placed it at the counter. "OHHH?! Human's sweets! The sweetness you can't eat in the Fairy Village!" "Sweet nectar is good too, but human's sweets are rare! They look tasty." The two, cooperating, have unwrapped the package and started enjoying the spreading aroma of the butter cookies. The fairies that acted noisily just earlier now were quiet. We returned to working with synthesis. "Emily-san, is it fine to just synthesise this with metal?" "First we need to make preparations. It'll fail as it is." As she said so, I put down the Magical Bamboo and the Copper Ore I had in my hands on the counter and listened to Emily-san's explanation. "First, we'll process the pieces of Magical Silk with 【Alchemy】 to make ten pieces of 【Magical Silk Fabric】." After saying so, she immediately started using the 【Alchemy】's skill, Higher Conversion to create ten pieces of silk fabric. The mobs you can acquire this magical silk from is the Magical Robe that appears in the normal dungeon of the fourth town, the 【Maze Town】. Although it was a dungeon with a lot of mobs dealing bad statuses, there were very few people grinding it because of the lack of countermeasures, I have purchased the material from Taku in large amounts as he had come to me saying he had no use for it. "It looks pretty. It might look great if I were to hang it on the wall." "There are stores that do that, too. Look——"
Saying so, Emily-san had shown me a screenshot of one of those stores. The glossy fabric was hung all over the store, indirectly lighting it up. Reflecting delicate light it brightened up the room, creating a gentle space inside, it was a store with a great design. "Ah, we've strayed from the topic. So, if we use 【Alchemy】's lower conversion skill on this 【Magical Silk Fabric】——"
It would return to the original, is what I thought, but it had turned into two bundles of silk. "Like this, you can make 【Bundle of Magical Silk's Thread】. Also, you can use 【Alchemy】 to turn drop items into an easy to process form." "Is it fine to teach me this? It seems like quite significant knowledge." "No problem. Rather, it's one of the required pieces of information for crafting the target material." Other than that, the metal gravel that had come out of the treasure box was a material situated between the ore and the ingot, but it was difficult to process by itself. So, it could be processed manually using the 【Smithing】 or 【Craftsmanship】 by melting and remaking into ingots, but those who couldn't do that were able to use 【Alchemy】, by gathering three of them, they could turn them into an ingot. So that's how it was. I didn't know since I have always processed them the same way as ore.
And, as for the method of handling the Magical Bamboo, she had explained it verbally, but left it to me. "I see, so I'm eligible to do it." We entered the 【Atelier】's workshop part, I put fire to the mobile furnace for making accessories and put the Magical Bamboo into it as it was heated up by weak flame. The weak flame had slowly burned the Magical Bamboo. While paying attention to the flame in the furnace making sure it doesn't disappear, I piled up Magical Bamboo pieces one on top of another. As it was scorched with the flames, the green pieces of bamboo had carbonized , once the combustion was complete it turned white, piling up as ash in the furnace. Once it had been burned to ash I scrapped it out and dissolved it in the prepared water bucket. I scooped the black fibres that had emerged from the ash dissolved in the water and washed it clean in another bucket with water. A very small amount of a durable fibre could be obtained from the Magical Bamboo, which was called 【Bamboo Fibre】. And, the remaining Arachne's Silk Bag could be processed into a thread by leaving it to a crafter with 【Sewing】. "There's only this much of the fibre made from the bamboo we had, so it's quite valuable. I wonder, if Emily-san is done." After removing the fibres from all the bamboo, I bundled it together and brought back to the store part of the 【Atelier】. "Emily-san, how is it on your side?" "Yun-kun, I finished processing them on my side too." All of the magical silk was converted into the thread and neatly lined up next to each other. The fairies finished eating the cookie and had headed to visit the field as I could see them fly outside of the open window. "Well then, what's remaining is the 【Arachne's Silk Bag】, right." "I've asked an acquaintance crafter to process that, it'll take a day for processing the bags, so I'd like you to wait two days until we synthesize it." "Then, there's time until the day after tomorrow——"
So the results won't show immediately, it can't be helped. Thinking so, I stretched my back. At the same time as I said there's time, I triggered a certain skill. A summoning that used the stones I took out of the inventory. No, the young beasts have forced a summon, coming out on their own and appeared by my side. Recently, because of the event and preparations for the raid quest there were very few opportunities to call them, so they started coming out on their own. I thought. The mobs tamed with 【Taming】 Sense were highly autonomous, as compared to Emily-san's alchemic and synthetic mobs. And so, if you don't summon them for a long period of time or summon them less often, sometimes they forcibly pop out by themselves. In such cases, they choose a timing when nothing related to combat happened. This time the words "there's time" must have been the trigger. "Sorry. This time, let's go do some field work together." I pat both Ryui and Zakuro that have both rubbed their necks against me. I checked Ryui's silky mane and Zakuro's glossy fur. "Ahh, there's lots of green out there! Like, small flowers and a big tree! So humans are raising things that can be found in the forest!" The Mischievous Wind Fairy blew inside from the wide-open window, and seeing out figures, it froze in mid-air. "W-what! What are those creatures?!" "Yun-kun, your fairy is really energetic." Emily-san looked towards me with a pleasant smile, but personally, I'd like a quiet fairy instead. "I have possessed this human first! I'm the senior over here all right!" The fairy flying around Ryui and Zakuro had stopped in front of their eyes and declared strictly. However, hearing that Zakuro grasped the fairy's neck in its mouth. "Uwoah?!! What! I'm the wind fairy that loves mischief! I'm doing mischievous things! Stop handling me so roughly!" She flailed her hands about in struggle, but soon enough she had hung down powerlessly, grasped with the mouth. "Uuu, even if you eat me I'm not tasty." "No, Zakuro won't eat you." When I retorted to her, still holding the fairy in its mouth, Zakuro had walked towards the sunniest place in the 【Atelier】. Just like that, Zakuro positioned its two tails by its belly and put down the fairy onto the tails. "Somehow, Zakuro's acting like Ryui." When I muttered that, Ryui head-butted me lightly. However, the way Zakuro placed the small fairy beside it as not to crush it looked just like Ryui did with Zakuro. It was a pleasing sight, like a younger brother imitating his older brother. "I'm a fairy. Faced with such captivating fluffiness I——howaahnn." Before long, charmed by the fluffy powers of the twin tails, she buried herself in the fur and her body disappeared, hidden. "Speaking of which, where is my Water Fairy?" Buried in Zakuro's fur, the Mischievous Fairy responded to Emily-san's question with a muffled voice. Speaking of humans other than me and Emily-san that were in the 【Atelier】, it was just Kyouko-san the NPC. After the Mischievous Fairy responded to Emily-san's question, it quickly fell asleep. Ryui too had lied down in the same place as to snuggle next to the two. "It's truly a healing sight. Yun-kun, are you going to sleep there too?" "Certainly, I'd like to receive some healing, but before that let's finish preparations for 【Synthesis】." In addition to the thread-type materials and ingots I passed Emily-san some of the materials I knew that were related to the 【Sewing】 Sense. I also included the recently found materials such as 【Water of Life】 that was one of the materials for 【Revival Medicine】. After I passed them to Emily-san, the first stage of the arrangements was complete and all the materials just had to be stowed away in her inventory..
"Oh-ho, 【Arachne's Silk Bag】, 【Magical Silk's Thread】 and 【Bamboo Fibre】, you've got multiple materials there. Are you making a 【Sewing】-type material?" A shadow had plugged the entrance to the 【Atelier】 and had accurately discerned the materials we held. When I looked in its direction, I saw a player wearing a cape who had a kitten ride on his shoulder. Cloude stood there. "Ohh, Cloude. Welcome. What's up?" Cloude walked straight up to the counter and for an instant, he squinted while looking at the aligned materials. "Hmm. For now, is it all right if I asked what are you trying to make?" "Yes, we're trying to synthesize the Metallic Thread that has been in circulation recently, it's a joint project with Yun-kun." "Once it's complete, we'll order the materials and we'd like purchase the recipe from you. You know, I'm working behind the scenes of the 【Crafting Guild】, I know who had brought it to us, but because of the high demand we can't keep up with the supply." Hearing what Cloude said, I realized that he did know that Letia was the origin of the Metallic Thread. 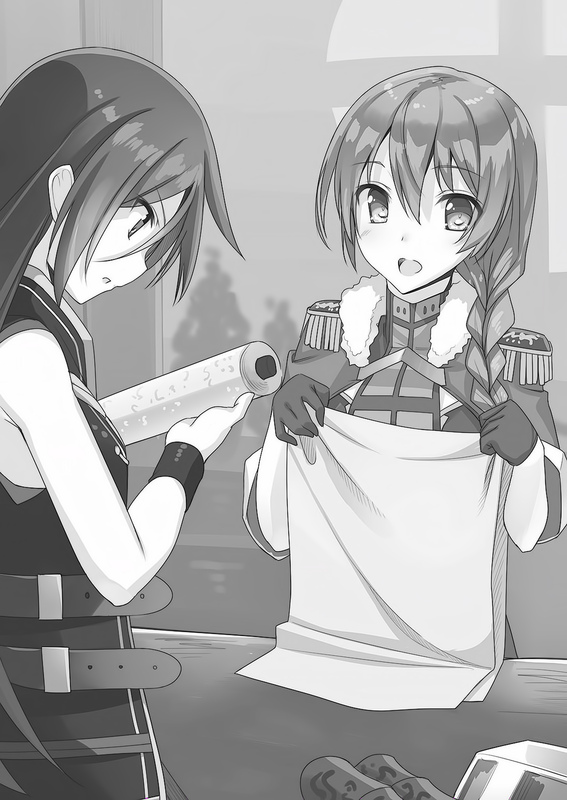 And since we, friends associated with Letia are gathering 【Sewing】-type materials, he must have guessed we're making something relevant to the Metallic Thread. "As for your orders for the material, we'll accept as long as it's bringing in the synthesized material, as for the selling of the recipe, we refuse." While saying so, Emily-san stowed away the materials arranged on the table in her inventory and I prepared tea for three people. "For the time being, let me ask. Why?" "There are two reasons. If we immediately publish the recipe after making, everyone will craft it. Ours won't sell, will it. That's why, at least until we recover the material costs and research expanses, we're going to refrain from publishing it." Seeming satisfied with the answer, Cloude nodded. I also nodded in the same way, but if I were to describe it somehow, it would be because I was impressed by the two. The two stared at me intently wondering why am I nodding. "Haa, Yun-kun is really unaware. Well, fine. The second reason is because it's joint project with Yun-kun. It has to pass through Yun-kun first." "I see, then, once the time comes we're willing to pay both Yun's and 【Material Merchant】 for the recipe." Other than that, if we think about the level required and the costs of synthesising the recipe it seems like there will be a variety of problems. But, thinking of all that, it's difficult. Is what Emily-san was saying. As the conversation was interrupted for a moment, I put the tea on the counter. "Speaking of which, why did you come to the 【Atelier】, Cloude?" Cloude own store, the 【Commonest Café & Clothier】 did sell potions in consignment with the 【Atelier】, but there was no need to come over. It was unusual, so I asked. "Right. I came to tell you about the next tea party's preparations and to buy 【Revival Medicine】." "Oh, I see. Right, that one isn't sold in consignment." The 【Revival Medicine】 for which the main material were the petals that could be collected from the 【Wisteria Peach Seedling】, a reward for the raid quest, was still circulating in very few number. Also, compared to the other 【Revival Medicines】 mine was highly effective. That's why, it was poorly distributed as not to drive away other crafters from the market, the 【Atelier】 sold them quietly and in limited number. "So, sell me three 【Revival Medicines】. Also, I came to buy some MP Potions. Oh right, have some of the sweet bean jelly we're selling for take-away." The food for take-away he showed was glossy sweet bean jelly. Seeing it, I thought that I should have put out green tea instead of black. I'd like if he showed it a little bit earlier. "Got it. I'll take care of these sweets on depos——"Sweets! Did you say 'sweets'?!" "
Cloude opened his eyes wide in surprise, movements of mine and Emily-san's froze. When we looked towards the voice, only a head had peeked out from Zakuro's twin tails, the Mischievous Fairy locked onto the jelly I had in my hand. She already had droll in the edge of her mouth. On the other hand, Cloude stared at the Mischievous Fairy very seriously. Unable to understand, the Mischievous Fairy tilted her head in puzzlement. Cloude moved his gaze away from the fairy and onto me. "That's a fairy, isn't it." "Yeah, so it is. Cuz' we started the limited quest." I responded Cloude blandly, but inside, the cold sweat wouldn't stop flowing. Having a bad premonition I took step backwards, when I did, Cloude put his hands on my shoulders sealing my movements. "If you accompany those who received the Fairy Quest, you can obtain a fairy! So, share it with me." "Scary! You're being really scary!" There was a shadow on Cloude's face as he looked at me from close, he was clad in mysterious fighting spirit. "I want to find mine and only mine fairy, and I'll dress her up freely! No, it's a waste to only dress up one of them. I want to make lots of costumes suiting fairies' personalities and make them wear them! For the sake of my ambitions shagh——?!" Pressed on to by Cloude's enthusiasm I was taken aback, when tears were about to appear in my eyes, something fell from above and Cloude's movements stopped. Emily-san sitting next to us had shut Cloude up by striking his head with the sword's sheath. Socks who rode on Cloude's shoulders also had ground its paws into his cheeks. As Cloude withstood the attack with the sheath from overhead and the paw strikes, Emily-san spoke, appalled. "What are you doing. Yun-kun will sue you for sexual harassment." Certainly, if it went too far it would be sexual harassment, but being treated like a woman put me into a bad mood. "I got too excited. My bad, don't hit me so hard." Socks delivered a series of cat punches to Cloude's cheeks. Emily-san too, once again swung the sheath, but Cloude responded with "wait" and protected his head with his hands. "But, Yun. It's a time-limited quest. Players who don't have luck to find a fairy on their own can only rely on others to share it with them." "Well, I know that much." Weak me has this time proceeded to the back of the Mine Dungeon in a party with Emily-san, the two of us. And, by advancing the quest by one stage I met a fairy. "Just this time. I'll put an effort to spreading the fairies around so there won't be any burden on you, Yun." Certainly, it seemed like it would be troublesome if the few parties that received the quest did it alone and didn't spread it. Also, I myself have received the quest from Emily-san, so I have to at least spread to one more person in exchange. "Haa, I get it. Then——"All right, let's hurry and go now!"——ehhh?!!" Cloude jumped out of the 【Atelier】 pulling me after him. Ryui and Zakuro chased after me. And, before I realized the Mischievous fairy took a mouthful of sweet bean jelly and ate while riding on my shoulder. "Now, fairy! Where are you comrades!" "Hmm. The monster's presence can be felt from that way, I guess?" Emily-san had seen me off as I was being dragged away. 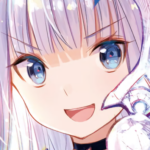 "I'll proceed with the research using 【Synthesis】. Do your best." No, Emily-san, you also have a Water Fairy who had come back and is now right next to you, so help us as well! I wanted to shout, but I was seen off unable to say anything. "Now, Fairy. Where's the enemy?" Continuously circling over my head time again, hmm, the Mischievous Fairy growled. Currently, we left the first town together with Cloude and were looking for the next Thorn Token in the plains. To think that I'll have to fight with two of them in a single day, at least let me rest a little. "What are you saying. For a time-limited quest, it's the basic of basics to advance as much as possible while you can. There's always a possibility of an emergency where you won't be able to find time to complete it." When Cloude said so, the Mischievous Fairy seemed to have felt something as she pointed towards a certain location. "I can feel a strong monster subordinate's presence from there!" Without motivation, I held Zakuro in my hands and stroked Ryui's neck who tagged along with me as I followed Cloude. As the two of us walked in silence, the Mischievous Fairy's humming resounded strangely. While Cloude was relatively good at socializing, it might have been the first time for us to make a party just the two of us. The crafters hardly go out to adventure in the first place. Unable to stand the silence I asked, but I had no idea what to talk about so I started to think of a topic. The Mischievous Fairy suddenly yelled loudly. My words were interrupted as she started throwing a wild tantrum in mid-air. "Mmgh, it's not interesting! Let's make it this, dah! Eii!" She generated a small wind and lured in non-active mobs in the plains. Herbivorous Beasts, Slimes as well as Hobgoblins have began gathering one after another. "Yun, they started to gather." "You're being too calm! Hey, wait! You Mischievous Wind Fairy! Stop attacking!" "It's not attacking! It's a prank!" I stretched my arm trying to catch her, but my hand just passed through the air and the Mischievous Fairy had puffed her chest in the mid-air. Higher than my hands could reach it, she had blown wind towards all the mobs within her range. "Just as she said, it's quite amusing." The mobs that gathered were all small and weak. Just their numbers were high and each could be beaten with a single hit. I cut them down with the kitchen knife in my hand and Cloude had hit them with his staff. It were fighting styles unlike that of an archer and a mage, but we decided to fight with physical close combat attacks in order not to waste arrows and MP. "Isn't it fine. It's a light warm-up. Also, it's good to know what Wind Fairy is capable of." "The basic elements the fairies that stick to players have are fire, water, wind, earth, light and darkness, these six. And, for personalities they apparently have a countless number of patterns prepared." "Not much time has passed since the update, but you sure know a lot." We continued to talk as we worked through the enemy in front of us. "Having just half a day, you can gather information regarding the quest to some extent. Also, although the fairies provide light support, their element and personality as well as the kind of assistance they offer differs between each fairy." Cloude and I glanced at the Mischievous Wind Fairy. Being stared at, she had returned a blank expression at us. She arbitrarily started to attack the enemy mobs indiscriminately and lure them in. It didn't seem like support to me. With my mood turned worse all at once I pierced the slime in front of me with the kitchen knife. The gathered mobs were wiped out in matter of minutes, there was no longer any trace of mobs in our surroundings. The Mischievous Fairy that was flying overhead had finally come down and rode on top of my head. "Ahh, that was fun! Now, now! Let's go!" "Good grief, you sure are energetic. Next time don't do whatever you want." I advised the Mischievous Fairy, but seeing her ignore me, I drooped my shoulders dejected. "Speaking of which, Yun, how much do you know about the Fairy Quest?" "Hm? From the overview I know it's time-limited quest and that the person accompanying the player who received it can also obtain a fairy and advance with the quest. Also, you need to defeat four Thorn Tokens, right?" "If you'd like, I'll tell you all the information I have gathered from the players who came to my store." I responded with "sure" and started to listen attentively to the information Cloude possessed regarding the quest. "Let's see. First, the quest has players to defeat monster's subordinates——Thorn Tokens. Also, Thorn Tokens' behaviour patterns vary depending on the mob they parasaitize upon." "Yeah. I fought against Arachne Thorn Token so I somewhat get it." "Then next. The range of the mobs that can become a Thorn Token is dependant on a condition that the player must have defeated the type of mob in the past, or so we think." "I see. With that condition, there won't be any cases where someone will be beaten upon first meeting with the mob." Since the behaviour patterns are similar, its something like a simple strengthening in case of the Arachne or so it feels. However, the base mob in addition to its own attack patterns becomes able to attack with thorns. There was also the HP absorption attack and the manipulation of the body using the thorns. "Well, that's pretty much everything I heard. Also, if there's good compatibility with the mob parasitised by Thorn Token, it seems like they become quite strong." Although the full information wasn't available yet, it was still good to re-confirm what we already know. Thinking of that, I realized that being able to gather information within just a few days, and then share it with me, Taku's and Myu's ability when it comes to that was abnormal. "Also——oh right. It's not related to the Fairy Quest, but there's information about a wandering mob added with the update." "Oh, something like new mobs?" "There are those too. Among the Big Boars and Forest Bears, there's quite probability that you'll meet the young beast versions of them." Cloude operated his menu and displayed a screenshot. On the screenshot there was a characteristic striped wild boar's piglet, there were screenshots of it sleeping and cuddling up to people. For the Forest Bear young beast there was a screenshot of one clinging to its parent's back. "Woaa, what's this! That's super cute! I want to touch them!" The moment I said so, Ryui started head-butting me lightly. Of course, I love both Ryui and Zakuro, too. "Although there were people who could tame young beasts during the event, the other players didn't have a chance at getting young beasts, which we believe is the reason for their addition. Although they won't turn into fighting force, it must have been requested very often." While saying so he closed the image, ahh, I let out a voice full of regret. "Also, there's information about a wandering-type unique boss but——if you encounter it, you die with certainty." He spoke so unhesitatingly, I ended up responding with a weird voice. "Its name is Grim Reaper. A humanoid using a scythe for a weapon. A certain front-lines party seems to have met it and was wiped out." "By Grim Reaper, you mean like, Death? C'mon, what's with that calamitous boss." "It does look like Death itself. If you meet him, run for your life." "Um... is there anything like, omens?" "Right. It seems like a purple mist hangs over the surroundings and cold air starts drifting around." "Purple mist and cold air——hyaa?!!" While I muttered absent-mindedly a chilly wind had flowed by my legs. Feeling something pass by my neck I immediately turned around. I braced myself and touched my neck to confirm, but there was nothing there. Was it just my imagination? I thought, but then laughter came from above my head. "AHAHAHA, so funnyy! So startled by mere wind." Although the fairy laughed, I didn't have any strength to even get angry at her and just fell down on spot. "I'm bad with ghost stories and such, so I was just relieved. I'm fine." "Well, even though it's a Grim Reaper, rather than like a creepy ghost it has a cool design so it doesn't strike fear into people. If anything, it's a design that makes you feel awe the moment it takes you down." "Still, it's scary in its own right." Design amazing enough to make you respect it the moment it kills you. I wonder how is it. "Really, at least spare me from pranks using ghost motifs." Although the Mischievous Fairy looked disgruntled, when I asked kindly she agreed. So if I ask kindly there'll be an effect? In the meantime, we have approached the place the second Thorn Token was. "Hey, isn't this the Wetlands?" Ahead of where the Mischievous Fairy pointed to, there were the Wetlands spreading south of the First Town. This area had a lot of enemies who attacked from surprise. "Yup yup, it's just a little bit in!" "Can't help it. I'll walk in front and ensure our safety." For now, I put down Zakuro whom I was holding and clenched the bow. I avoided the Treants and Moor Frogs hiding in the Wetland, from time to time we also entered combat as we walked towards a certain location. After proceeding in the direction Mischievous Fairy had pointed to, trying to avoid enemy mobs and places with bad footing, at certain location there was an instruction to stop. "It's coming! Also, do your best." Immediately after these words, a thick thorn penetrated the Wetlands' ground and extended, it attempted to erode a Moor Frog that was hiding behind the leaves of the plants that are floating on top of the Wetlands. The Moor Frog's body expanded to the size of a human's body in no time and roses bloomed on both of its eyes just like it happened with Arachne, using its long tongue and inherent jumping ability it aimed its attacks at us. "Hmm. For now, let's withdraw to take a good look!" "Agreed on the safety measures!" "It's not chasing us. Or rather..."
"It can't. The thorns are in the way." Thorn Token was a mob that was the result of thorns extending from the ground and parasitising a mob on the surface. And, since the base of the thorns is only in one place, the mob's movement range seems pre-determined. The parasitised huge frog tried to jump and crush us underneath, hit us with it's extending tongue and use water magic to shoot Water Bullets at us, but neither of the attacks reached. "Can this be, a chance?" Both Cloude and I made expressions as if we were scheming an evil plan. For Arachne Thorn Token it wasn't possible since we were in a closed space of the mine, but it was possible now. Cloude one-sidedly assaulted the frog with darkness magic. "Hahahahaha, now, dance, dance for me! ——《Shadow Bolt》!" Laughing loudly Cloude shot an arrow of darkness that had high penetration. While watching it I ascertained the aim with 【Sky Eyes】 and raised my bow high. The arrow shot into the sky drew an arc and pierced the frog's back. It was called high-angle deviation shooting. Although impossible to use in closed space, it was possible to shoot one arrow after another having them draw a three-dimensional trajectory. "How disgraceful. Even a toy frog would entertain me more!" "Ahh, speaking of which, I wondered what is it similar to, so that was it." What Cloude meant, was a rubber toy that used a pump to sent it into the air. The air was pumped into it from below and the frog's legs would extend, making the toy jump. Since its attacks didn't reach us, the appearance of this frog rampaging was very similar to that. "Tch, just its durability is high. I ran out of the jokes to make and the strength to laugh." "No, you better start moving your hands before joking around." The frog's body was large and easy to target, but it didn't want to fall. It was different from attacking with the knife considering I could attack however I wanted, but what else was different was the sensation between the attacks with an arrow and how the kitchen knife had pierced over the rose mark on Arachne's chest. "Did it's defence power increase?" "Doesn't that differ between each parasitised mob?" Feeling some discomfort, I shot an arrow. And, Cloude's shadow arrow and my own strike pierced the roses that bloomed on the Moor Frog's eyes, it was a decisive blow which finished the battle with the second Thorn Token. Once again the thorns abandoned the parasitised mob and dove into the ground, while looking as the thorns ran away, we carefully approached the defeated Moor Frog's body. "What is it? Why are you so jumpy?" "No, um——the flu"Don't tell him!"——?!!" Suddenly, the Mischievous Fairy appeared and blocked my mouth. As I wondered where was she until now, she closed my mouth using her entire body and then whispered into my ear. "What's up, Yun? You wanted to say something?" I decided to keep quiet. After being covered in mysterious mucus I won't show any mercy. At least I'll bring down Cloude together with me. As such dark thoughts crossed my mind, Cloude received what had popped out from the Moor Frog's body. Immediately after that, the mob's body disappeared turning into particles of light and Cloude raised a sleek, jet-black egg. "What? This isn't a fairy?" It was a moist sphere, but by no means it was an egg dripping in mucus. "Heeey, how long do you intend to sleep? Wake upp!" Beside me, the Mischievous Fairy called out towards the egg. As if in response, the jet-black shell turned phosphorescent and then, floating on Cloude's palm, rubbing her eyes sleepily, was a darkness-coloured fairy. "Did you save me? I'm Darkness Fairy." After saying just that, she had intruded on Cloude's pocket. "She's not... covered... in mucus?" The fairy beside me had burst into laughter, then I noticed something. "Hey, can you turn into an egg as well?" "I can. You see, it's a protective wall for a fairy's emergency escape〜." "Then, why on earth were you dripping wet with mucus when I met you?" "What?! Yun, I'd like to hear more about the case of dripping wet with mucus!" "Don't come over here! And, don't ask! Don't remind me!" As Cloude took a step forward, I took a step backwards. Geez, how did it turn out like this. I blatantly changed the topic back to the drowsy Darkness Fairy that was in Cloude's pocket. "S-speaking of which, my Mischievous Fairy was able to read the flow of wind and lead us to the cave's exit, what does that fairy specialize in?" "Hmm, so Wind Fairies had that kind of power." I was relieved that I was able to divert the topic from the mucus. The aforementioned Mischievous Fairy had puffed her chest proudly and answered. "That's right! I'm Mischievous Wind Fairy! Using wind is my forte! Especially when it comes to getting in others' way, I'm better than anyone!" Hmph, while she snorted proudly, on the other hand the unmotivated Darkness Fairy had showed her face out of the pocket and muttered a response sleepily. "See, I'm a Darkness Fairy. I prefer quiet over noisy——like this." Eii, letting a voice out without any intonation, she turned her fingertip towards the Mischievous Fairy. The loud fairy that continued to repeat "praise me praise me" had fell silent immediately and started swaying in the air, seeming likely to fall down. I caught her on my outstretched hands in a hurry, the Mischievous Fairy was sleeping with a slovenly facial expression. "Bad status induction. In particular, I'm good with using sleep. Also, I'm sleepy." After saying so, she dug deeply into Cloude's pocket. "Well, it seems like the two fell asleep, we defeated the Thorn Token too, let's go back." "You're right. But to think that the fairies required for finding another target would fall asleep." Fuu, Cloude let out a heavy sigh, so he wanted to continue fighting I stared at him thinking so. Just today I fought with Arachne and Moor Frog Thorn Tokens. I want to rest a little. I thought. "While taking a break, let's hear more about that mucus! What, let's take our time talking in Commonest while eating some cake and drinking tea." *pam*, when I turned around after Cloude put his hand on my shoulder, although he had a refreshing smile, the look in his eyes said "I won't let you run away". There's no escape from the demon lord. When I saw "marshlands" I thought "Treant Thorn Token? Sounds fun"
Cloude: Put the goddess to sleep my servant of darkness! Darkness Fairy: What. Um.. Sure okay. *Yun falls asleep while seeing Cloude grinning like a Cheshire cat. *Yun slowly wakes to find him/herself dress in a maid/swimsuit/Halloween/bikini/whatever Jessica Nigri has ever done/whatever you want it to be. so, 3 more fairy: fire, earth and light. for magi, lily and myu? For a minute I almost heard a "HEY! LISTEN!" I wonder if there's a badass fairy... Or male ones. Kyaa ~ i want one! For some reason. Yun went full harem mode with her pets. :) can't wait for the next chapter! Yun's wind fairy is like my nephew, can't stand still. They just go on, and on, and on, and on. I'm getting tired just remembering. Somehow I can imagine the 'future'. Yun riding a white unicorn accompanied with a huge fox. With a bow on her back, Yun looked at the huge boss a distance away in front. Then she pointed the kitchen knife at the boss. "Now my friends, chaaaaaarggeeeee!!!!!" And a mob of slimes, fairies, and pets charged at the boss while Yun throwing all sort of dangerous potions at the boss. Would be super OP if late game Bow senses and Enchant senses allowed Yun to make literal magic arrows. Then it can be rain of Earthquake arrows, and all the world will tremble at the power of misshapen senses. Socks delivered a series of catch punches to Cloude's cheek. Shouldn't it be cat punches? It's likely that Sei-nee will be driven to tears when she find out Yun got the fairy Quest & didn't share it with her. Wow, new chapter release with a really fast pace. Thank you! Water fairy is nice, but Yun's got gels for farming. Well, Puckette here's going to tire Yun out mentally. so the event concept are found one random fairy who will going attached to you or your party and find other one by defeated Thorn Token Mob with fairy as guide. the question what if solo player found one fairy and not shared the quest with other people ? is he able to monopolize the fairy ? but considering the durability that Thorn Token have it's kinda impossible right ? Everyone gets their own fairy. If you don't enter a party, you just proceed the quest without sharing it with anyone else. That's all. Fairies can be also found out in the world, but it's easier to have another player share the quest with you to obtain the fairy. From what I can tell, a Thorn Token only spawns when you share the provisional quest with another player who doesn't already have a fairy, so you'd have to share it 3 times to find and kill 3 more Tokens to complete the quest objective. Then the 3 other players who you shared it with will only have killed 1 Token each and would have to share the quest with 3 other players each to spawn more Tokens... then those 9 players would have to share it with 3 more players each and so on, like a pyramid scheme. Someone needs to send an SOS signal to Magi... Yun has been kidnapped by Cloude! So they made a short-cut for the sake returning with ease. So they made a short-cut for the sake of returning with ease. "Well, it might just be one of the attractions." Well, there's enough ingenuity to never get bored. -> might be just me, but three "well"s at the start of a sentence might be overkill. or is this intended like this? "Like this, you can make 【Bundle of Magical Silk's Thread】. Like this you can use 【Alchemy】 to turn drop items into an easy to process form." "Like this, you can make 【Bundle of Magical Silk's Thread】. Also you can use 【Alchemy】 to turn drop items into an easy to process form." In such cases, they choose timing when nothing related to combat happened. In such cases, they choose a timing when nothing related to combat happened. In such cases, they choose a time when nothing related to combat happened. ..., but beating treated like a woman put me into a bad mood. ..., but being treated like a woman put me into a bad mood. -> I'm guessing you didn't mean "beating like a woman", right :D? ..., at let me rest a little. ..., at least let me rest a little. Without motivation, I held Zakuro in my hands and stroked Ryui's neck who tagged along with me I followed Cloude. My words were interrupted as she started putting up a throw a wild tantrum in mid-air. My words were interrupted as she started putting up a throwing a wild tantrum in mid-air. "Just she says, it's quite amusing." "Just as she says, it's quite amusing." The Mischievous Fairy mentioned had puffed her chest proudly and answered. The mentioned Mischievous Fairy had puffed her chest proudly and answered. So, if a player defeats a Thorn Token without help (or everyone in their party has already the definitive quest) they might receive more than one fairy? Thanks for the chapter. It seems obvious that Elvenblood has taken its toll on you, seeing that now we are having daily releases of OSO. No, one fairy is the limit. It's not as much Elvenblood taking toll on me, but that OSO is very easy to translate - mentally. and shame on you damn troll !!!! no but seriously u got me second time arghhhh!!!!!!!! and here i thought i was smart going for illustration :( Well u are competing with skythewood over rare title "trolling god" am i wrong? and last, but not the least important thing i wanted to say- thanks for chapter (also if u ever troll me again, i will not start to dislike you)... so yea thanks and ockare samadeśta. I'm not really interested in competing with anyone. lol, why don't you just type in the address next time? When you see a release, just erase everything besides krytykal.org/ then type in only-sense/volume-#/chapter-# and viola you'll be at the chapter, or is that too much work?